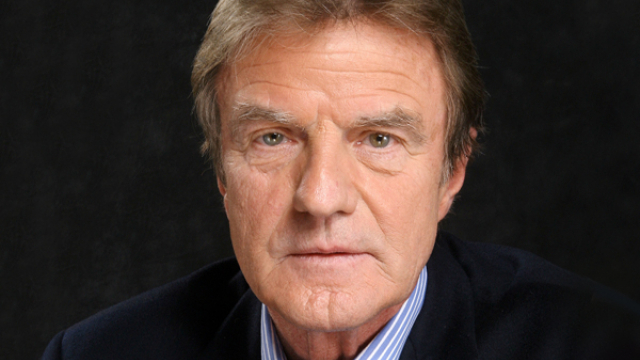 Internationally renowned politician and physician Bernard Kouchner co-founded the Nobel Peace Prize-winning Médecins Sans Frontières in 1971 and co-founded Médecins du Monde in 1980. From 2007 to 2010, he served as France’s minister of foreign and European affairs, and earlier, as minister of health. He has organized humanitarian operations around the world, including in Somalia, El Salvador, Lebanon, Syria, Vietnam, Cambodia, Chad, Libya, Nigeria, Thailand, Uruguay, Peru, Guatemala, Honduras, and elsewhere. He oversaw Medecins Sans Frontieres’ medical relief response to the Spitak Earthquake in Armenia, which occurred 29 years ago. Bernard Kouchner joins current Aurora Prize Selection Committee member Nobel Laureates Oscar Arias, Shirin Ebadi and Leymah Gbowee; former president of Ireland Mary Robinson; former president of Mexico Ernesto Zedillo; human rights activist Hina Jilani; Director of the Institute of Global Health Innovation at Imperial College London Lord Ara Darzi; President Emeritus of the International Crisis Group and former foreign minister of Australia Gareth Evans; President of Carnegie Corporation of New York Vartan Gregorian; and Academy Award-winning actor and humanitarian George Clooney. Founded on behalf of the survivors of the Armenian Genocide and in gratitude to their saviors, the Aurora Prize is in its third year. For the 2018 Aurora Prize for Awakening Humanity, there were 750 submissions from 115 countries. The Selection Committee will gather in Berlin, Germany on December 4, 2017 to review the nominations. Also in Berlin, the Aurora Humanitarian Initiative will host its first Aurora Dialogues outside of Armenia. Entitled “Millions on The Move: Need for Development and Integration,” the Aurora Dialogues Berlin is a joint effort of the Aurora Humanitarian Initiative, Global Perspectives Initiative, Robert Bosch Stiftung and Stiftung Mercator, to be held on December 4-5, 2017. Speakers will address the state of the global migration crisis and look at the role of different actors in advancing positive change. The 2018 Aurora Prize Finalists will be announced in Armenia on April 24, 2018, when the world commemorates the Genocide of Armenians in 1915. The third annual prize -- $100,000 to the laureate and $1 million awarded to organizations of the laureate’s choice, will be announced on June 10, 2018 at a ceremony in Armenia.